Mayra Calvani writes fiction and nonfiction for children and adults and has authored over a dozen books, some of which have won awards. Her children’s picture book, Frederico the Mouse Violinist was a finalist in the 2011 International Book Awards; her anthology Latina Authors and Their Muses was a First Place winner at the 2016 International Latino Book Awards; her nonfiction book, The Slippery Art of Book Reviewing, was a Foreword Best Book of the Year winner. Her stories, reviews, interviews and articles have appeared on numerous publications like The Writer, Writer’s Journal, Multicultural Review, Bloomsbury Review, and others. Born in Queens, New York and living in Los Angeles since 1987, Sheila Fein has always been inspired by the changing world around her. Earning her BA in Design from Buffalo State College of New York, her concentration was on drawing, painting, printmaking, and photography. Sheila’s education as an artist has taken her everywhere from Fleisher Art Memorial in Philadelphia to Bath University in England. Today, Sheila Fein runs two figurative workshops, Imaginings Sketch in LA and People Sketchers in Thousand Oaks. She has been featured in numerous collections, magazines, books, solo and group exhibitions. Her paintings and drawings reside in public and private collections. Sheila loves to make the imagination of others a reality and has done so through her commissioned Fein Fantasy Portraits and Interactive Paintings. In addition to being a fine artist Sheila works as an illustrator. 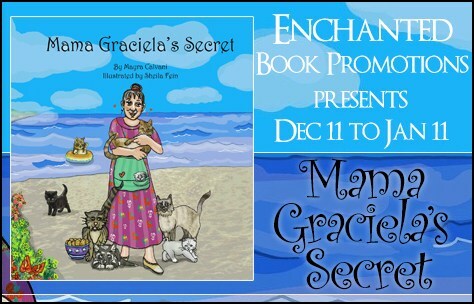 She just completed the book “Mama Graciela’s Secret” for Maclaren-Cochrane Publishing.